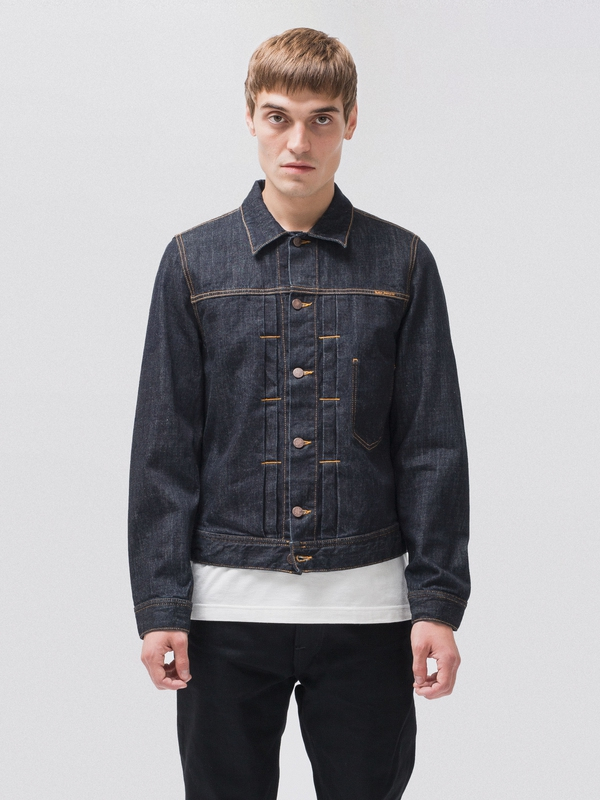 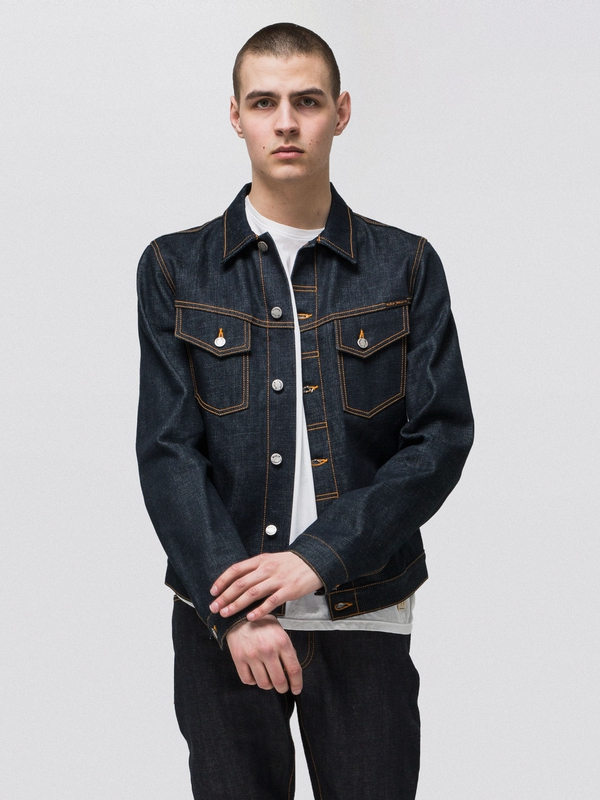 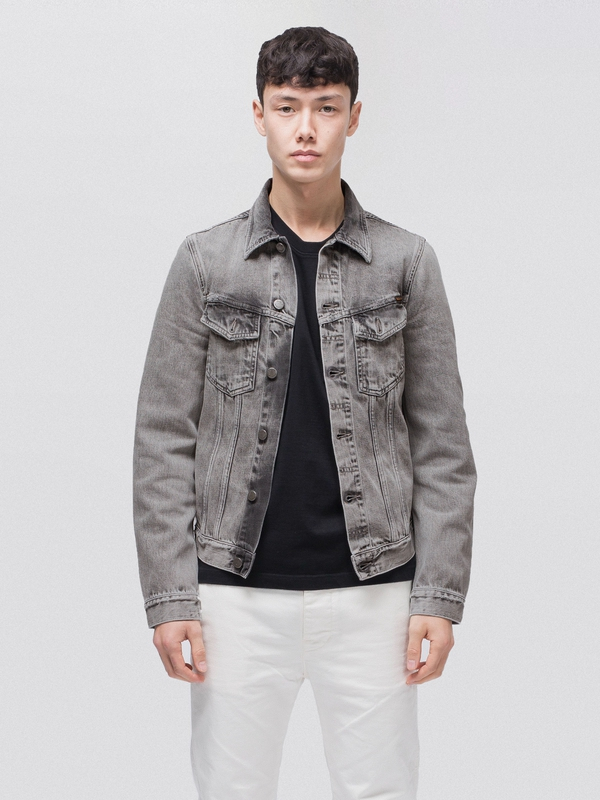 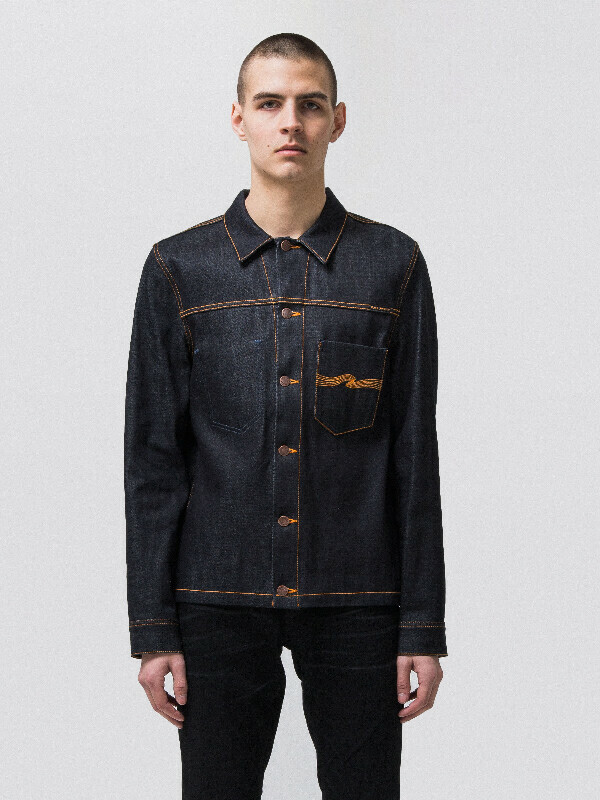 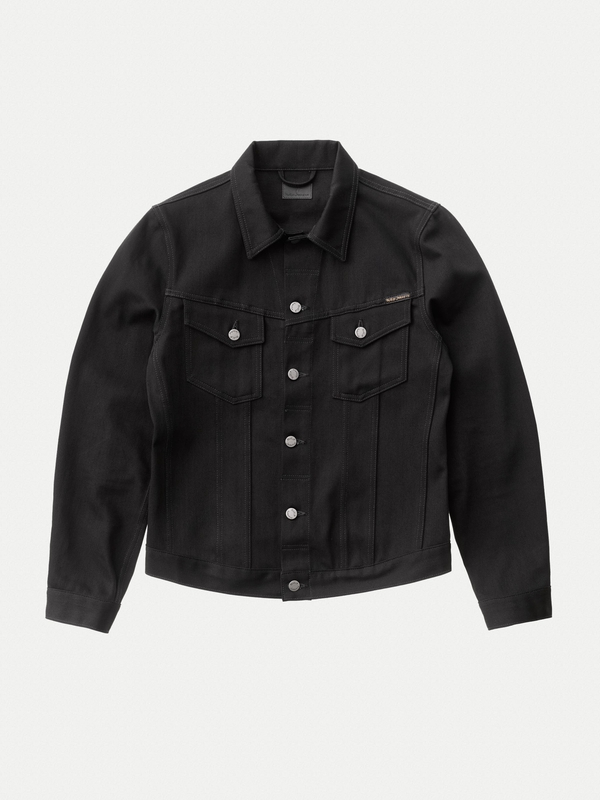 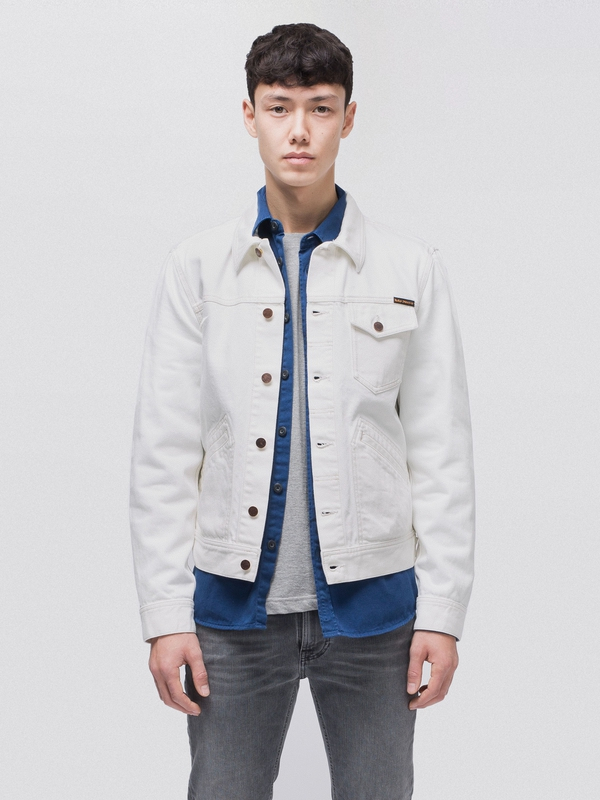 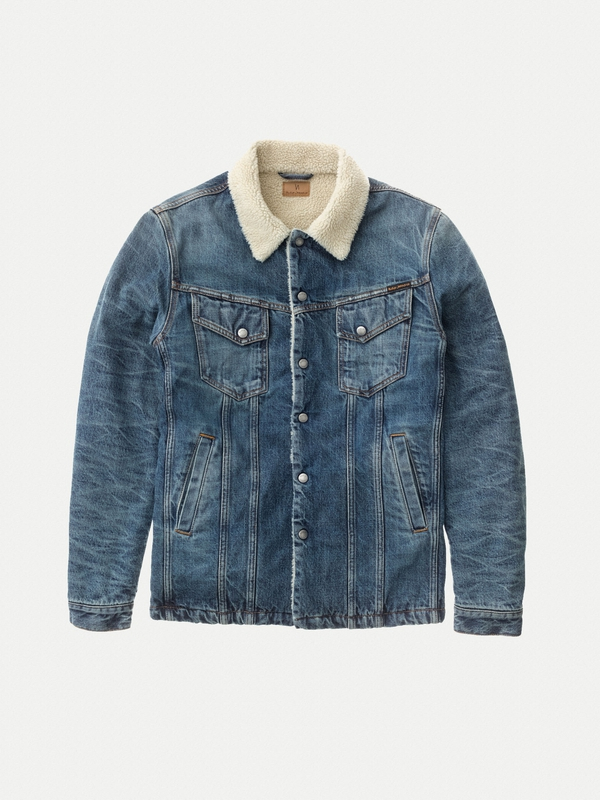 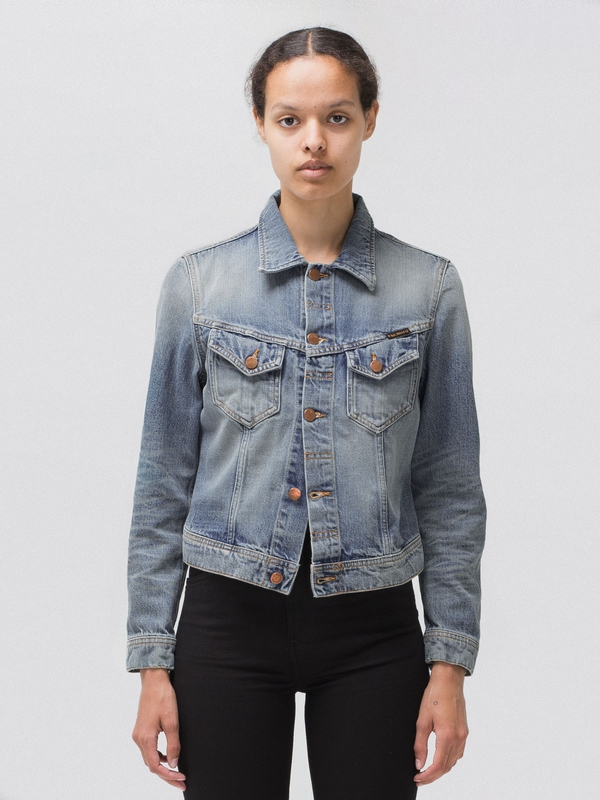 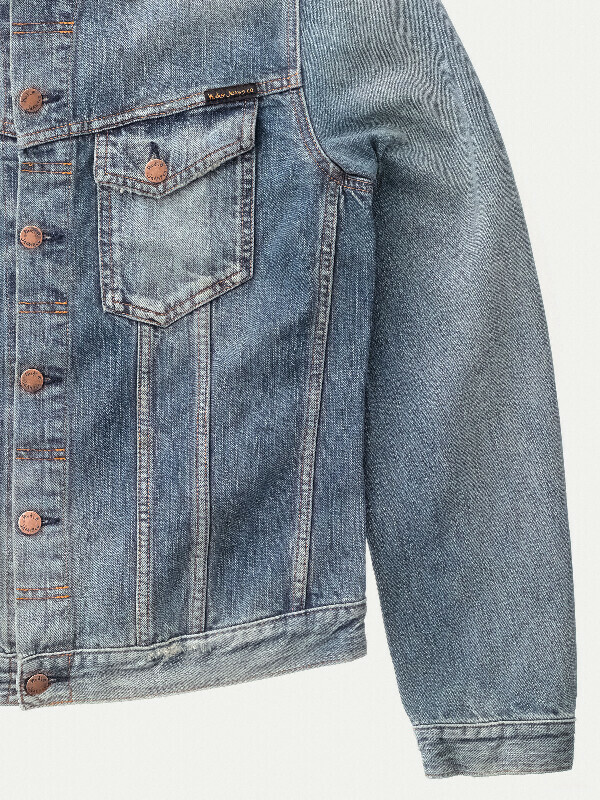 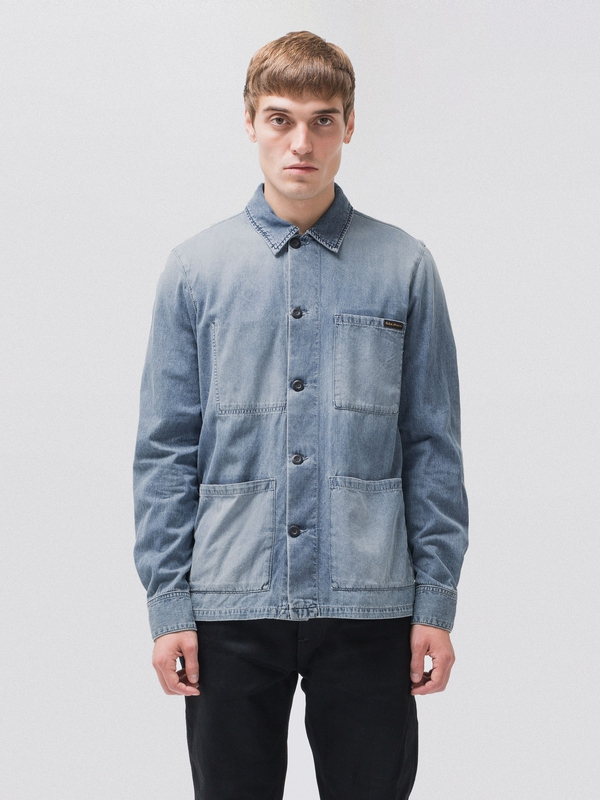 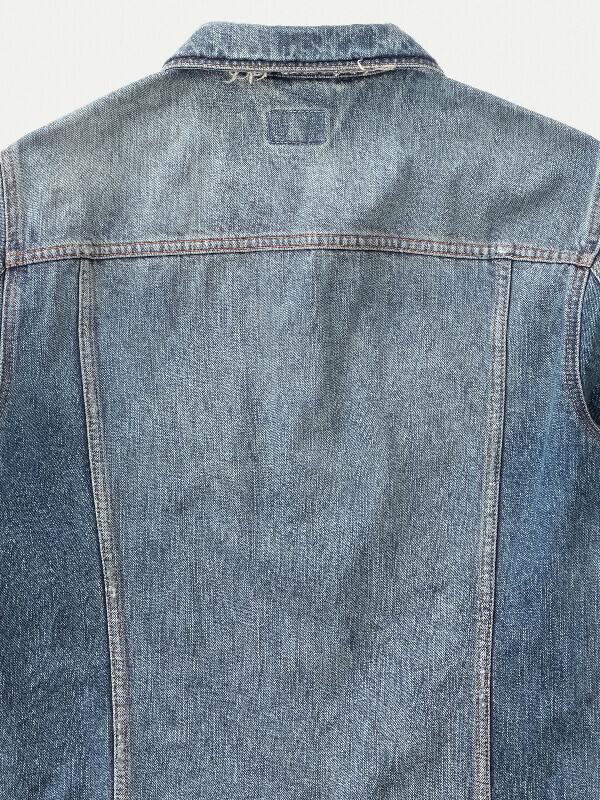 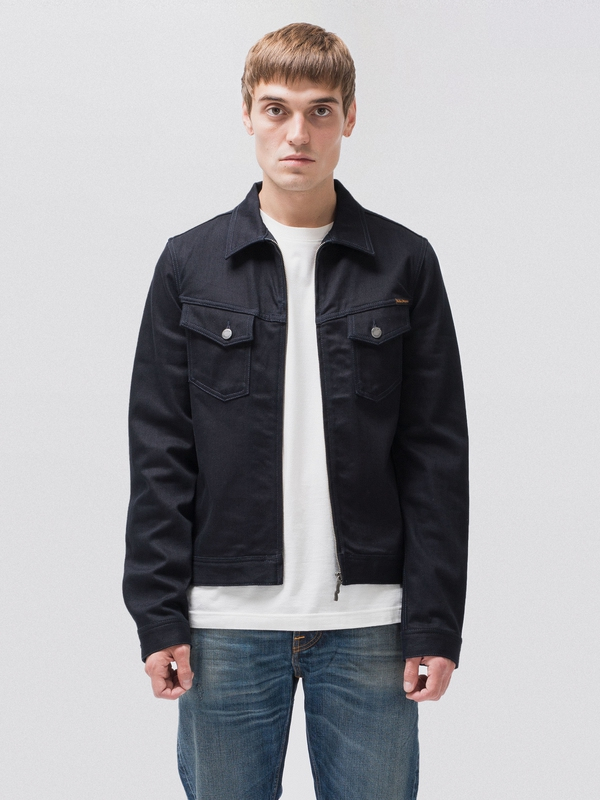 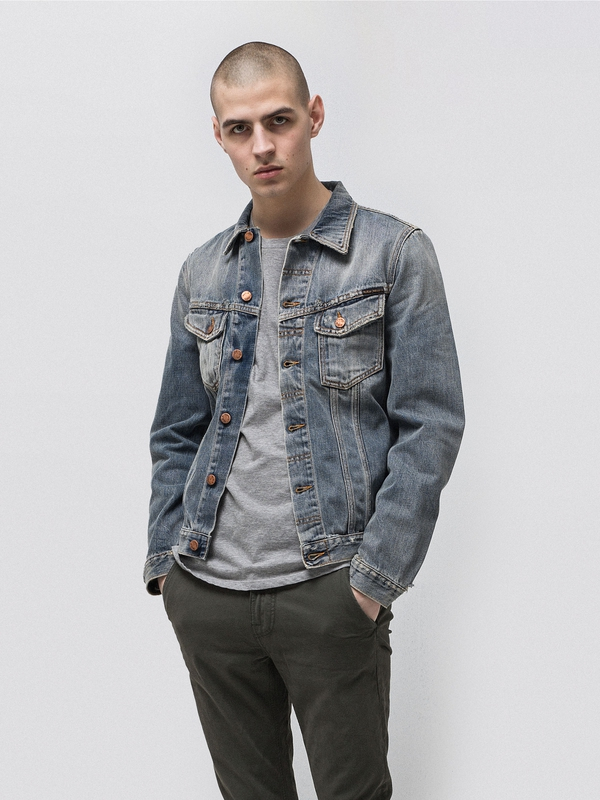 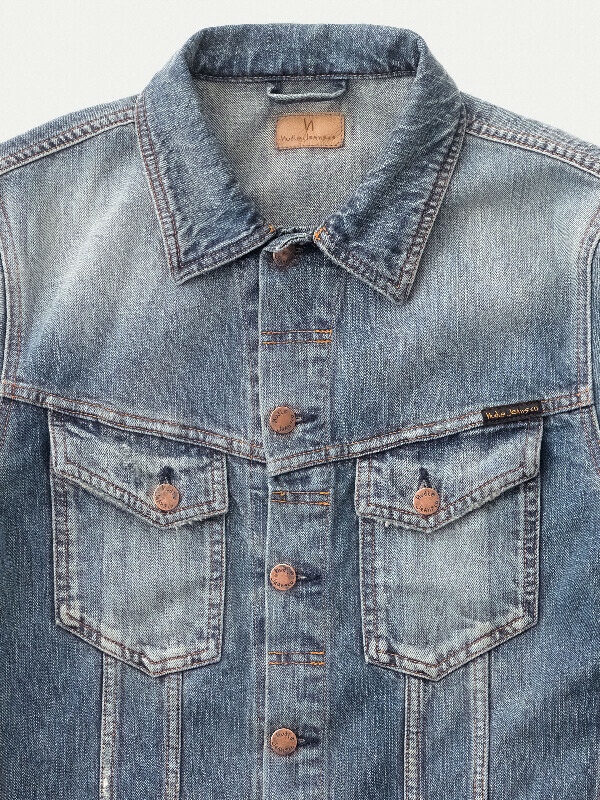 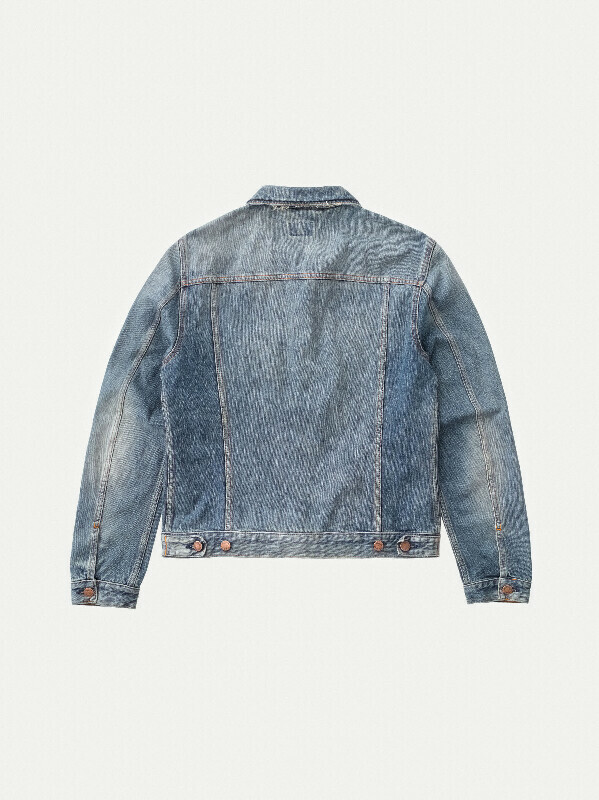 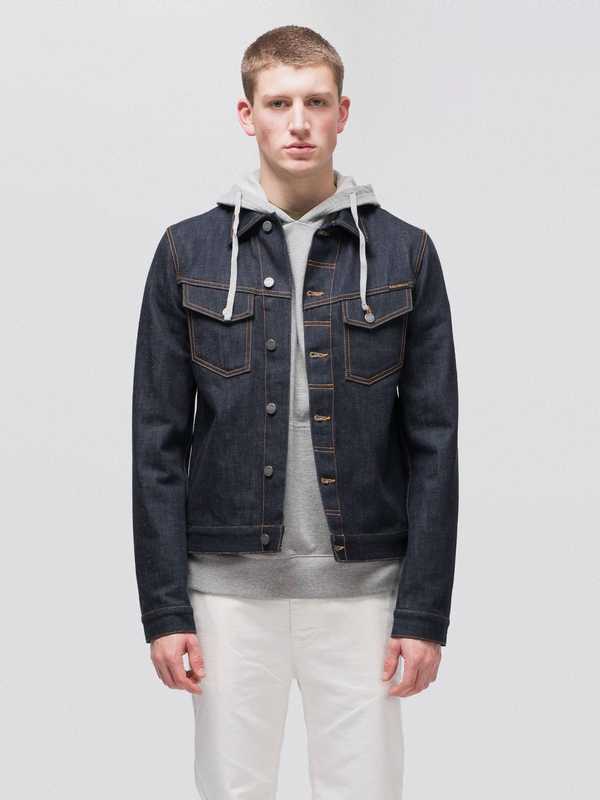 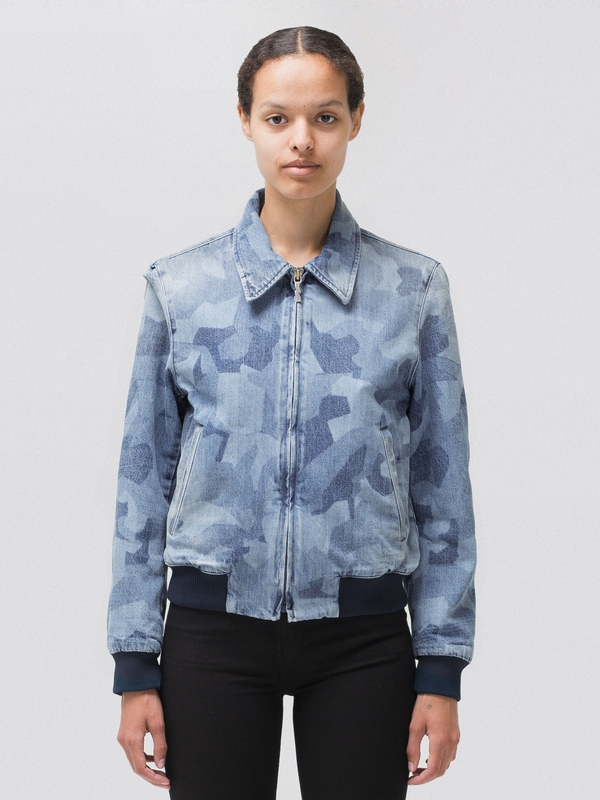 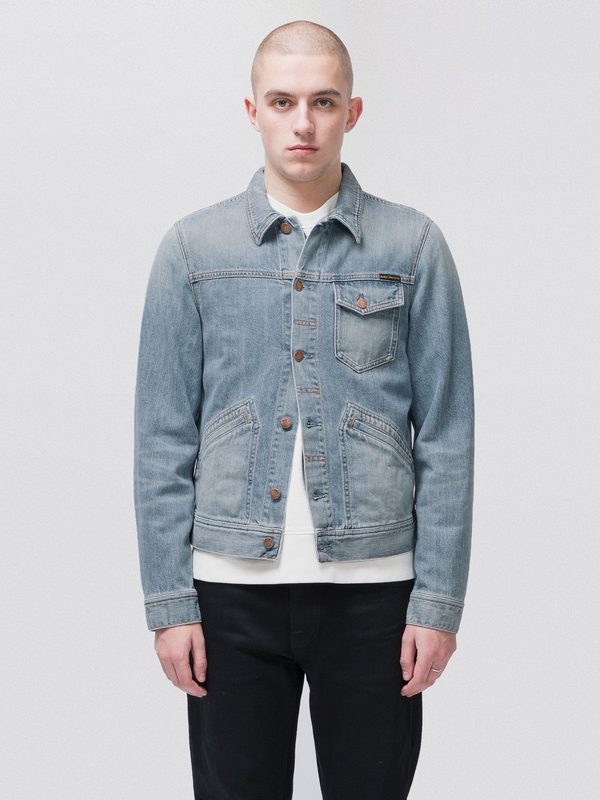 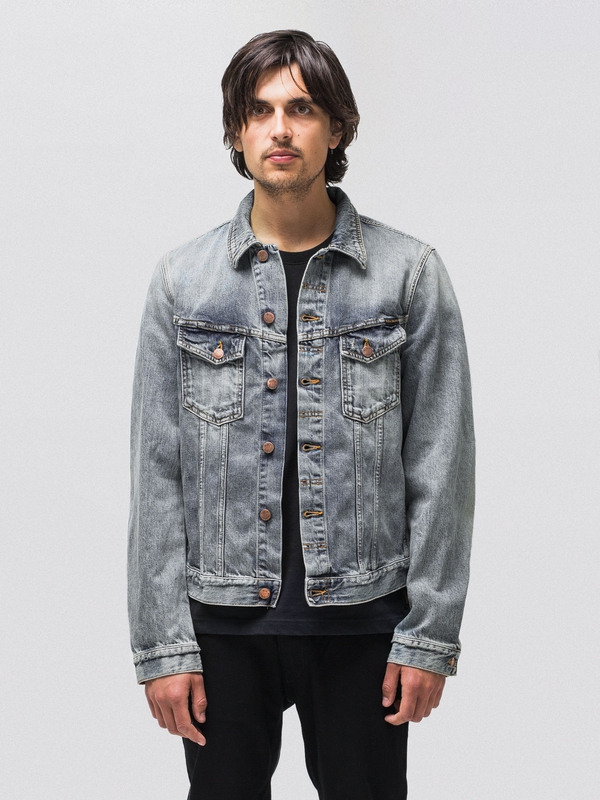 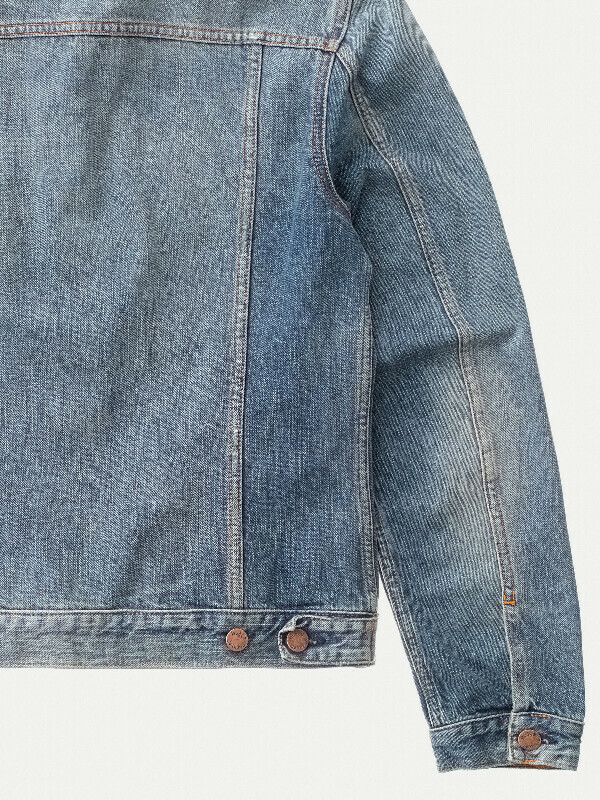 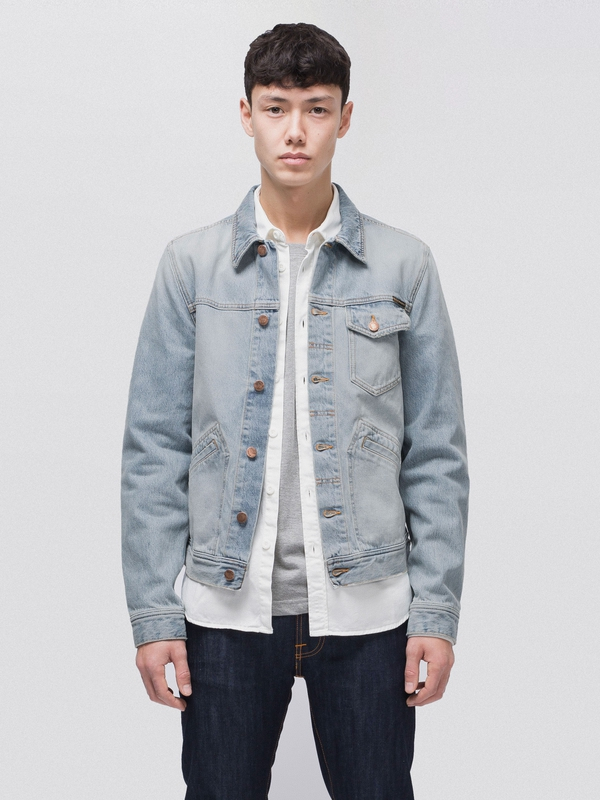 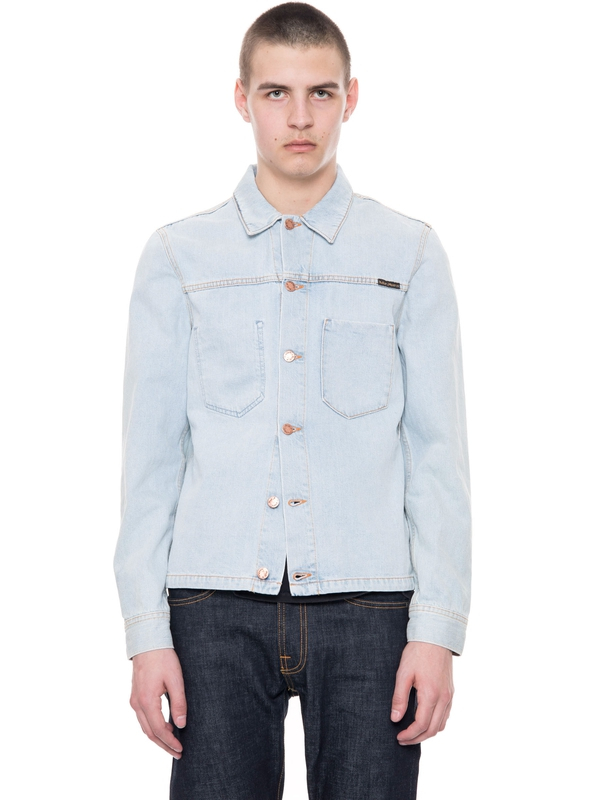 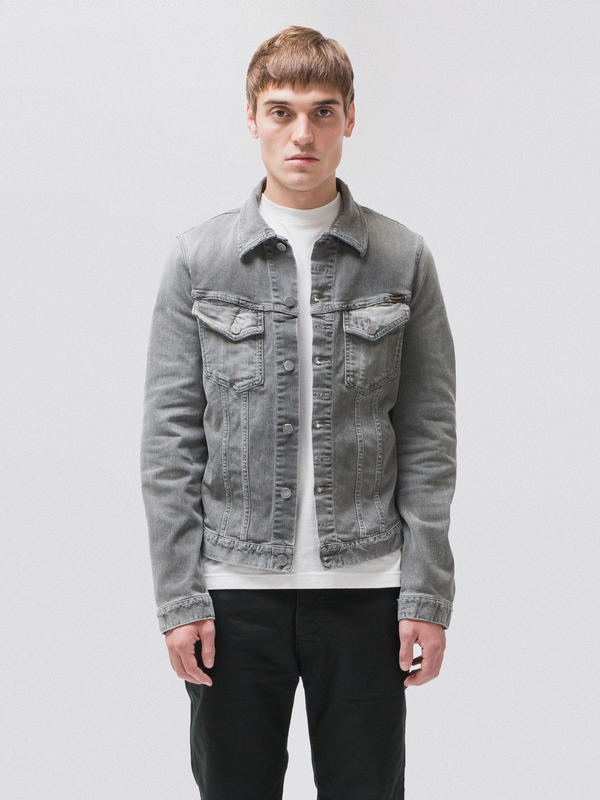 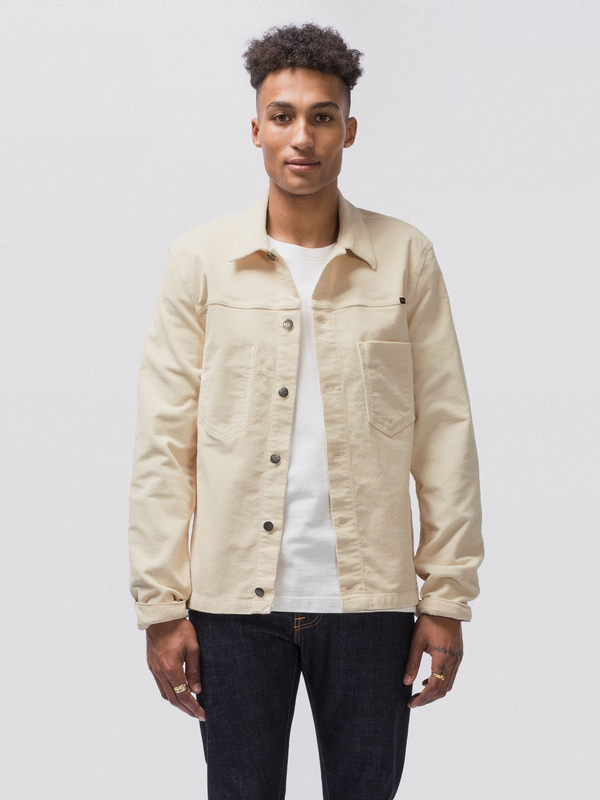 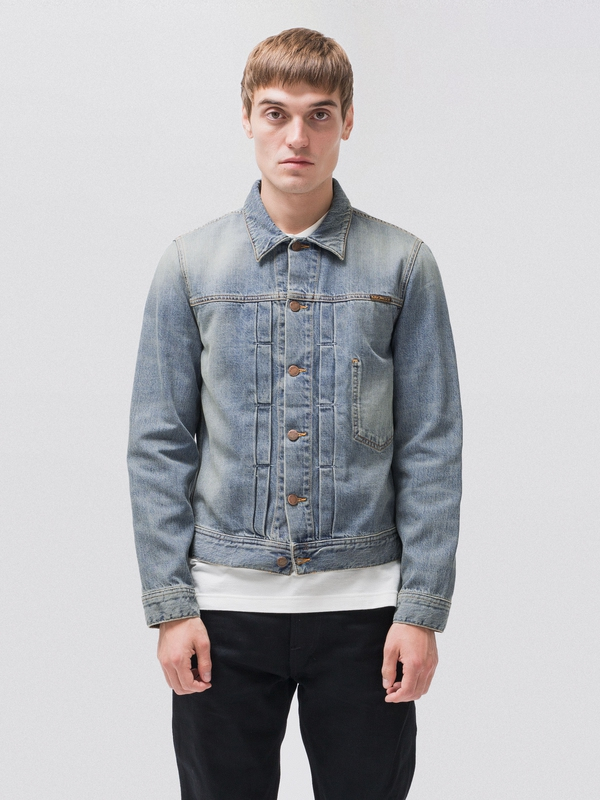 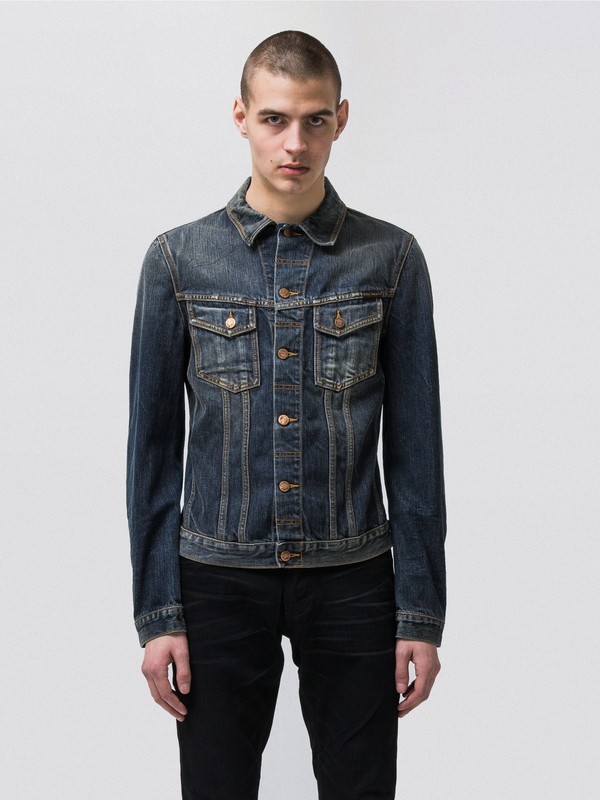 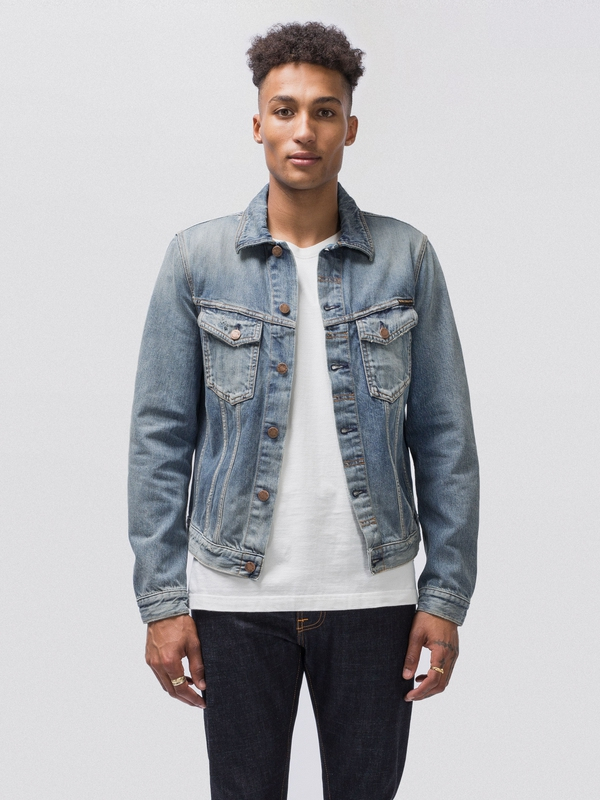 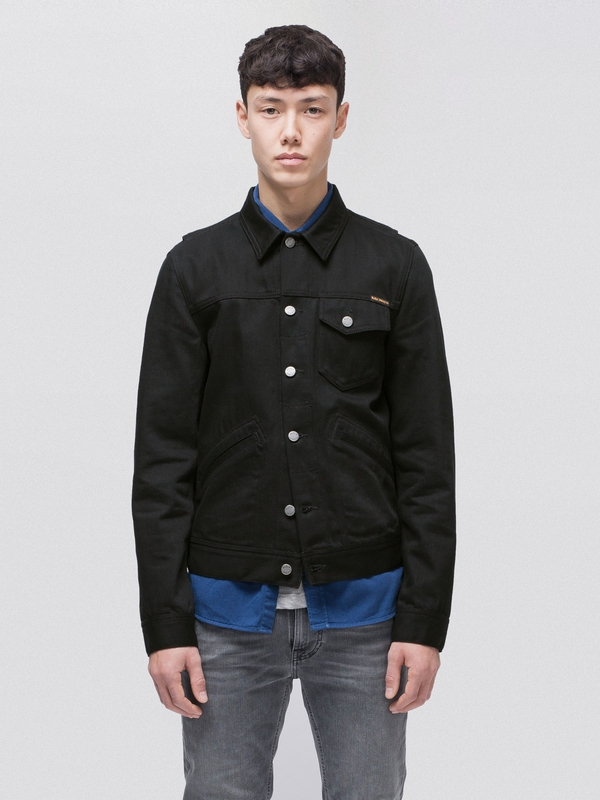 Denim jacket in rigid denim. 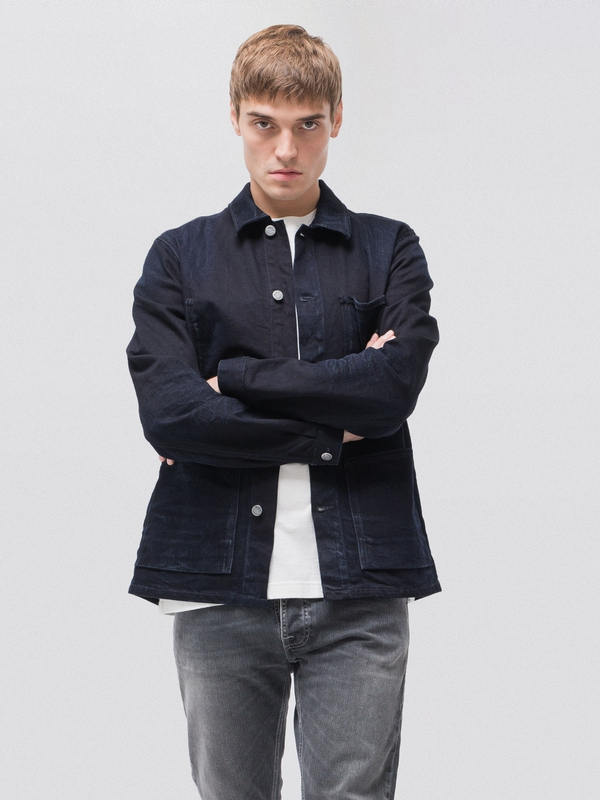 This is a red cast mid-blue indigo dream in the form of a jacket. 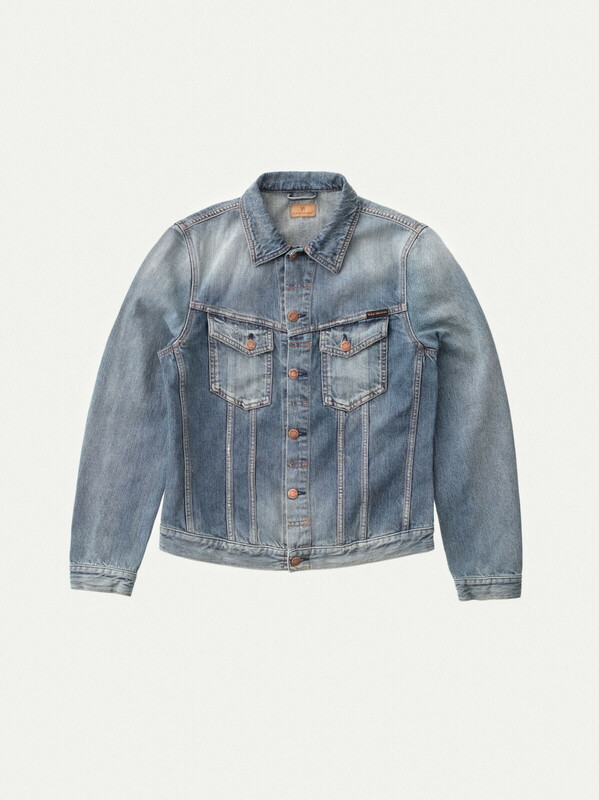 It has been washed down to reveal its grainy texture and the soft, sweeping, scrapings give it an authentic worn-in look. 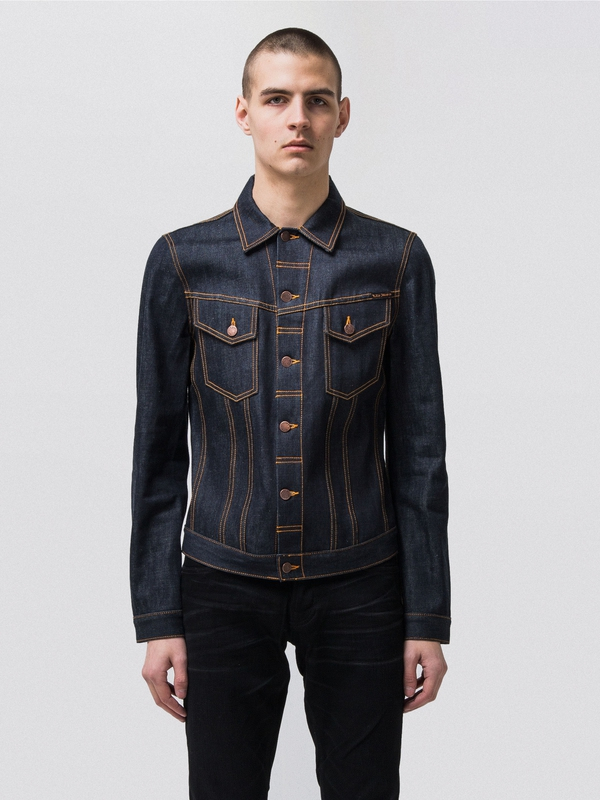 The marbling at the collar, cuffs, and pockets is nothing short of amazing. 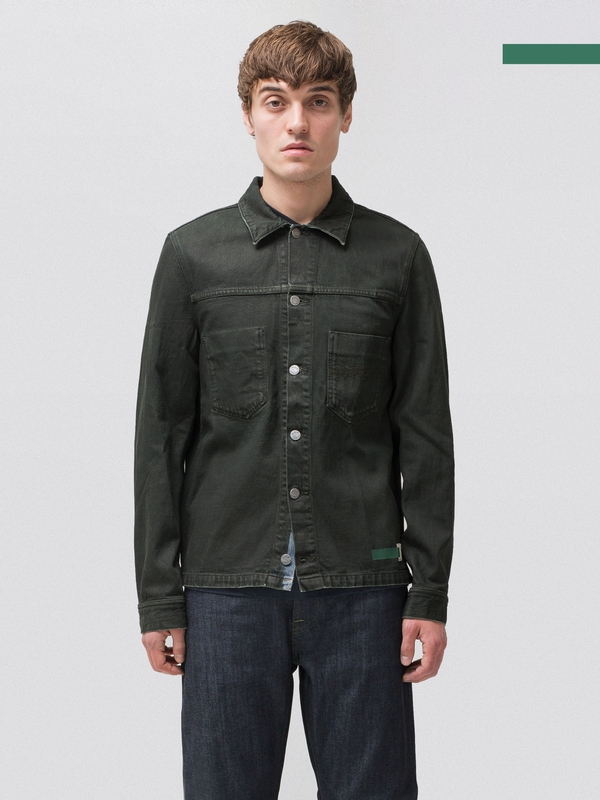 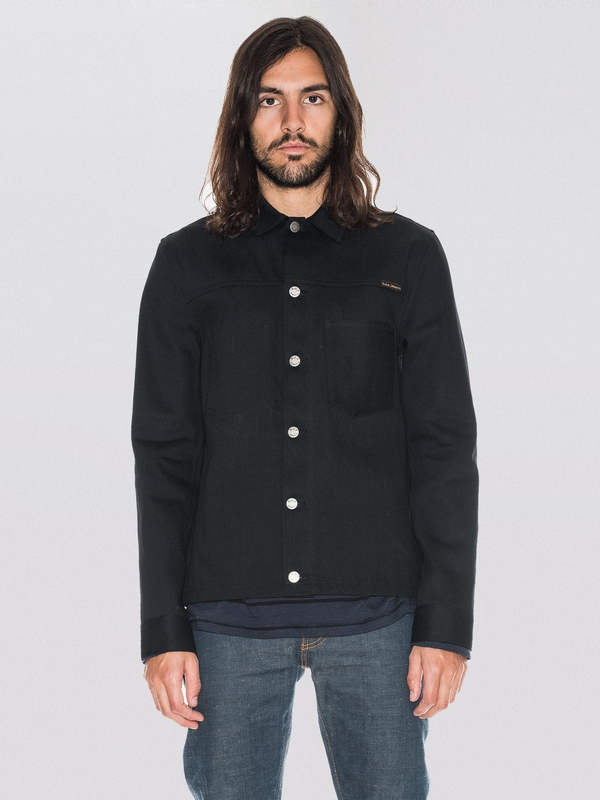 Paired with its navy buttonholes and rougher abrasions at seams this is as close to a vintage original as you can get.